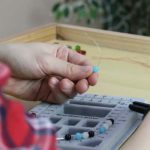 Don’t get overwhelmed by all the choices of bead wire that are available to you before you to begin a piece of jewelry or any bead project. 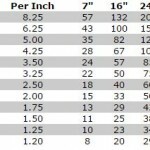 Below is a list of different wire gauges with descriptions to help you figure out which type of bead wire is best for each of your different beading projects. This is for making bracelets, free-form shapes, neckwires, lampshade forms, and napkin rings. This is used for making clasps, stringing ethnic glass beads and other large bone, wood, or ceramic beads with large holes, wire wrapping candlesticks and chainmaking. 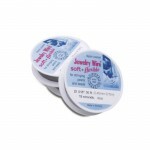 Use when making earwires, headpins and small wire clasps and stringing glass beads. Most base metal headpins and earwires are made from 20 gauge wire. Used when 20-gauge is too thick. Good for stringing Crystals or transparent semi-precious beads including amethyst, quartz and fluorite. Use 24 gauge when wire wrapping smaller crystals, semi-precious beads and freshwater pearls to chain. Use a wire straightening plier with this wire when it gets the kinks that it has a tendency to do. When wire wrapping beads to tiaras and in wire projects where 24 gauge wire is just too heavy for the beads use 26 gauge. In order for this wire to maintain a loop, loops must be wire wrapped closed. Tools with very fine tips should be used with this wire. 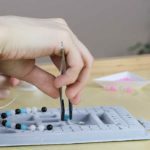 Use when wire weaving, crocheting and free form wire wrapping using small beads. Use tools with very fine tips. 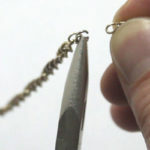 This wire kinks easily and a wire straightening pliers is required for use with this size wire.